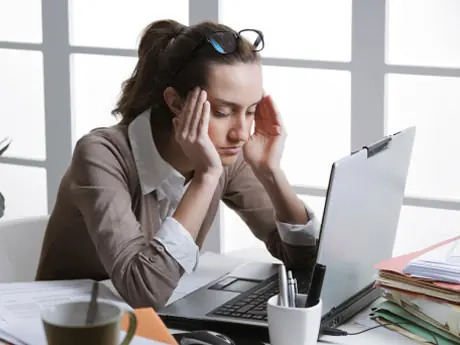 Athletes and desk jockeys are susceptible to the same daily threat: the 3 p.m. slump—that dreaded time when your energy plummets, crushing your productivity and sapping your motivation for an afternoon workout. Coffee and other caffeinated products are commonly used as quick fixes, but there might be a better way. Kansas City Royals sports dietitian Mitzi Dulan, RD, CSSD, author of The Pinterest Diet: How to Pin Your Way Thin, shares her strategies to use honey to beat the afternoon slump. Dulan recommends using honey, which is a great source of carbohydrates and a natural energy booster. "Honey is composed of a unique carbohydrate composition of natural sugars and trace amounts of antioxidants, enzymes, minerals, vitamins and amino acids, making it a smart, natural energy-filled afternoon snack," Dulan says. "In fact, for years, sports dietitians have recommended that athletes include pure honey into their pre-exercise meal or snack for that very reason." So what's the best way to use honey when you need a fast fix? Dulan shares her tips for portable, on-the-go meals and snacks. Add a tablespoon of honey to 8 ounces of water for a budget-friendly energy drink. Mix honey with cream cheese or nut butter for an energy-boosting fruit and vegetable dip. Spread nut butter, honey and sliced bananas on a whole-wheat sandwich thin. If you have time to prepare food in advance, try this honey quinoa breakfast bake, honey peanut butter protein energy balls or honey-pecan salmon. Here are some additional nutrition strategies from Dulan to help you keep your energy up during the day. Choose high-fiber foods such as whole grains like wheat and quinoa and legumes like beans and lentils. A substantial breakfast can help set the tone for a high-energy day. Add a teaspoon of honey and a handful of nuts to plain, Greek-style yogurt for an energy-boosting, afternoon snack. While it might be more time consuming to bring some of these snacks to the office, they'll provide a more substantial energy boost than an afternoon cup of coffee. Plus, these snacks can keep hunger at bay and satisfy your cravings for sweets. Don't let the 3 p.m. slump wipe you out; plan in advance, pack snacks, and fight back. Perfect your nutrition to boost your performance. Sign up for a race near you. Maile Proctor is an editor for Active.com and a basketball and fitness enthusiast. In addition to playing and officiating basketball, she enjoys running, hiking, and trying new, fun and challenging fitness activities. Follow Maile on Google+ or Twitter @Mailekp5.